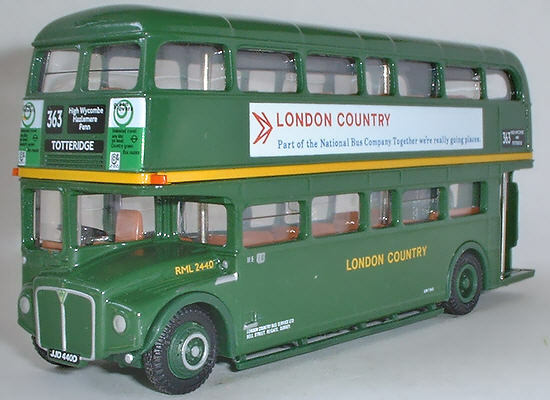 Adverts "London Country - Part of the National Bus Company. Together We're really going places" side adverts and front "Green Rovers - Unlimited travel any day on Country green bus routes 8/-" adverts. 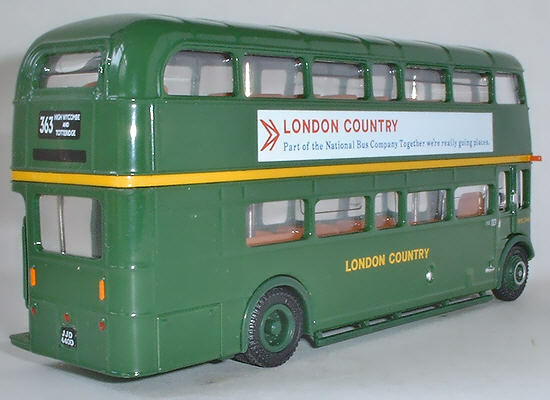 Notes Part of Gift Set 99919 with model 24316 produced for and only available from the London Transport Museum Shop.